On the market is a weatherboard and tile home with three bedrooms, separate living, updated kitchen and entertaining deck area. This home has a wide frontage giving the opportunity for excellent street appeal with easy access to the garage and ample room for more parking. From the entry foyer you have access to the large kitchen/dining room. In the kitchen you can enjoy the benefits of gas cooking, stainless steel oven and dishwasher. Cupboard space is generous combined with open easy to use bench tops. Living/lounge has views over the front with an easterly aspect capturing warm winter sun and cool summer breezes. Polished hardwood floors add to the ambiance. 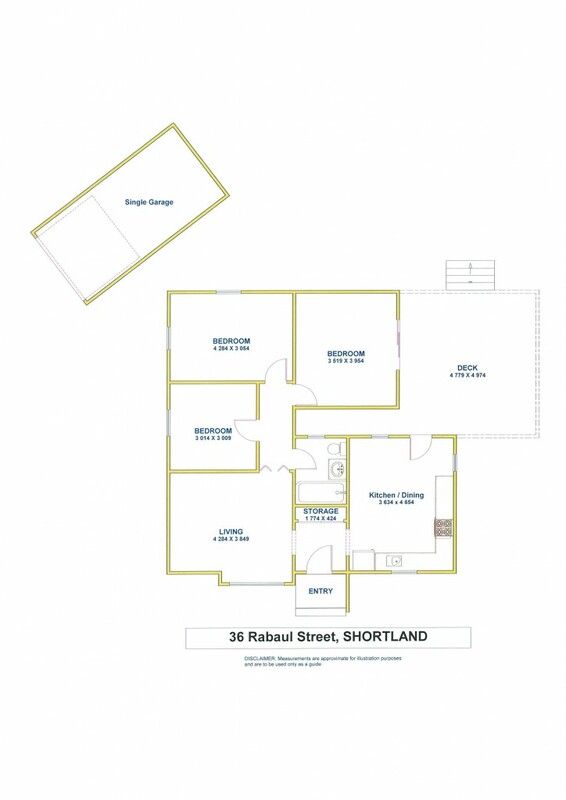 All three bedrooms are a good size with the master bedroom having direct access to the timber entertaining deck. If you have been searching for a home at the entry level or a solid investment this property is a must to inspect.